A dreadlock-sporting white guy with tattoos and a "grunge rocker" appearance who wanders the area around Clark and Diversey is single-handedly ruining the Chicago Police Department's trite "crime is down" mantra. 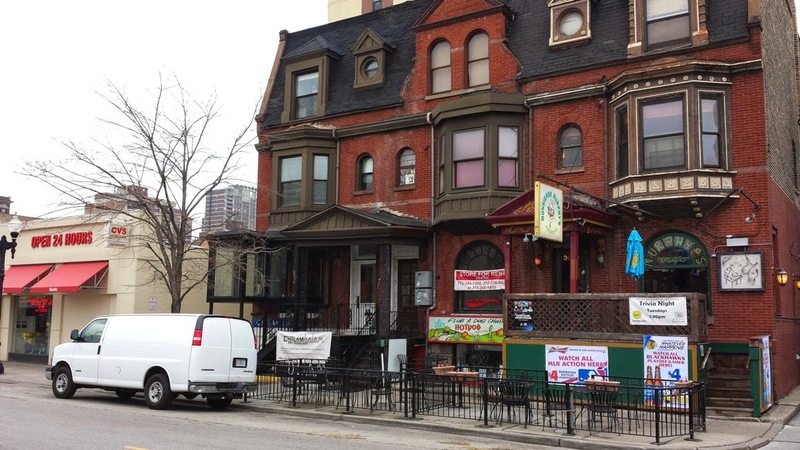 Police were called to Monsignor Murphy's bar, 3019 Broadway, at 3:15PM today after the man was seen ripping a sign off of the storefront. The offender, whose description matched that given by earlier victims, was wearing a purple shirt with numbers on it. He was last seen walking westbound on Barry toward Halsted. Early this morning, a dreadlocked white man with a "grunge rocker" appearance threw coffee on a security guard at the Clark & Diversey Walgreens. Over the weekend, at least two businesses near Clark and Diversey reported that a man matching the offender's description stole—or tried to steal—employee tip jars. Witnesses this morning said the man was seen walking into an SRO "hotel" on Clark just south of Diversey.